Do you have an account with HDFC Bank? You must be aware, accountholder’s address is vital for any bank. The banks must keep the record of the address which helps to communicate with the account holder if any other means of communication fails. 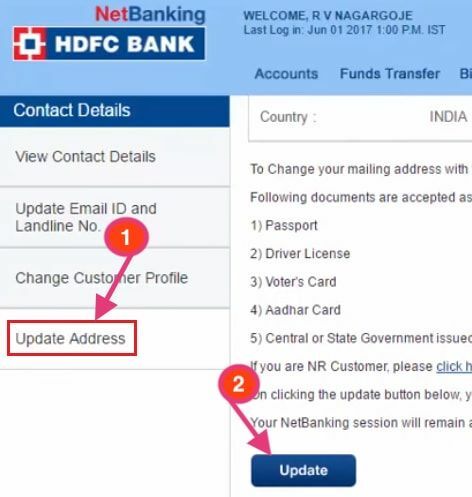 Do you know how to change the address in HDFC Bank account? You need to follow simple steps to change the address. 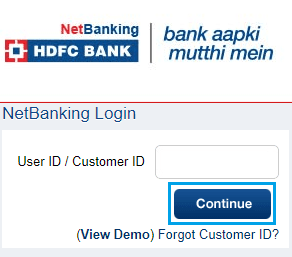 Step 1: Visit the HDFC Bank official website https://netbanking.hdfcbank.com/netbanking. Enter the login credential, i.e. Customer ID, IPIN- Password and Confirm Secure Access Image to access net banking for your account. Step 2: Click on Update Contact Details tab featured on the homepage just beside the Logout button. Step 3: Select the Update Address tab featured on the left sidebar. Next click on Update. Important Note: You have to upload the supporting document for address change so you need to remain prepared for it. Keep a self-attested soft copy of the address proof. Step 4: Enter the new address under Address Details. Upload the supporting Self-attested Address Proof. 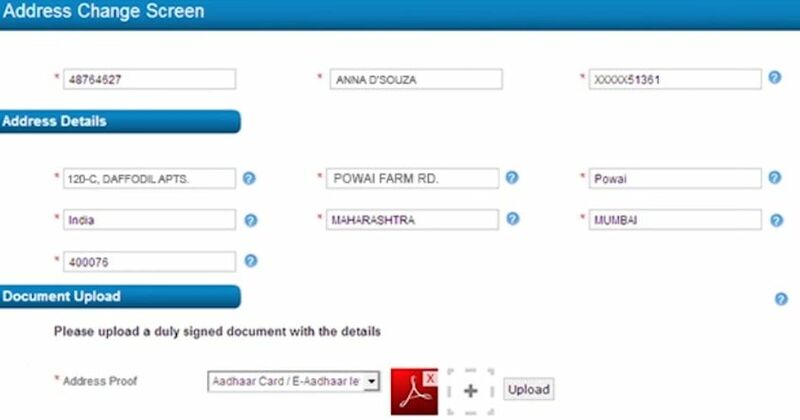 You can upload the Aadhaar card as an address proof. Enter the code as shown in the image. Put a Tick mark in the box to accept the Terms and Conditions. Click on Submit button. You will receive a notification stating successful change of address in the bank records. The process of changing the address in HDFC Bank is very simple. Make sure to follow the process without any mistakes. Updating the new address at the bank, the bank will be able to communicate with you when required. First of all, collect the necessary documents related to your address and identity. The necessary documents include ID Proof, New Address Proof, and Savings Account Passbook. Make sure to carry the original documents along with the photocopies of the documents. The next step is to write an application to the Branch Manager. In the application, you must clearly describe your request to change the address. Make sure to mention the bank account details, individual details and the address details in the application. Visit the HDFC Bank branch with which you have the account. Meet the Help Desk Executive and ask for an Address Update Form. Fill up the form providing the required information. Verify the form before submission. Submit the documents along with the form and required document's photocopies. You will receive notification via SMS to your registered mobile number informing about your request for address change and successful change of address along with the new address details. HDFC Bank takes 1-2 working days to update the address. The next step is to get the new address printed on your Bank Passbook. If I am living in a rented house, what all documents needed to be submitted as proof? for address proof, you can use Aadhar card.